We often talk about the largest Amish communities – meaning the geographic locations where Amish live. 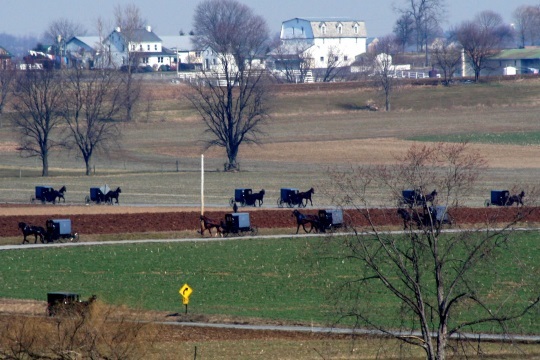 The Lancaster County settlement is one example of an Amish community. To take the example above, the “Lancaster” affiliation includes the Lancaster County Amish–but also includes many other churches in other communities which have spun off from the Lancaster community over the years. These churches continue to cooperate and fellowship with one another within one affiliation. Affiliations share other features which bind them together, including similar dress standards, buggy styles, Ordnung, acceptance of technology, and so on (though there can still be some diversity within an affiliation). If you’d like to learn more on the topic, I suggest reading our Amish affiliation post or checking out Chapter 8 of the book The Amish. There are over 40 Amish affiliations. Some are very small, consisting of just a few churches. Others may have well over 100 districts. So which are the largest? Before you scroll down, do you have a guess? Note: statistics taken from The Amish (Kraybill, Johnson-Weiner, & Nolt) and date to 2011 (see p. 139 – Table 8.1, Amish Affiliations Ranked by Number of Church Districts, 2011). Most numbers given below will be higher as of 2015. It makes some sense that the oldest Amish community is also responsible for the largest Amish affiliation, with 291 church districts in over 3 dozen settlements. Lancaster affiliation churches can be found in eight states. 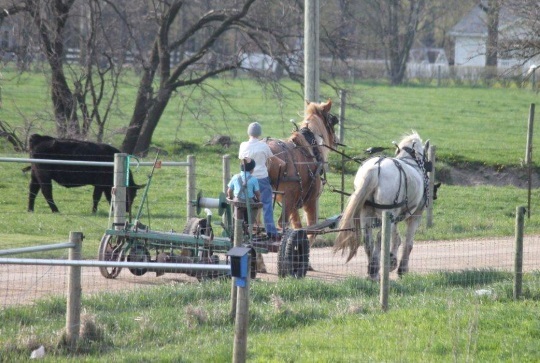 The Elkhart-Lagrange County community is the third-largest individual Amish community. (Update: just a note to clarify–the Elkhart-Lagrange community is the third-largest community, but the Elkhart-Lagrange affiliation, including its related communities, is the second-largest affiliation. Both the community and affiliation have the same name). The settlement’s affiliation extends to nine communities in three states, for a total of 177 churches. Holmes County contains more individual affiliations than any other community, with around a dozen. “Holmes Old Order” is the largest of the bunch, with 147 churches. …which makes it very different from number 4 on the list. With a whopping 67 communities in the affiliation, the Buchanan/Medford churches are spread far and wide. Their 140 church districts appear in roughly 2/3 of Amish-settled states (19 states). The Geauga County settlement consists of two main Amish groups. Geauga I is the more progressive of the two affiliations in the community (the other is known as “Geauga II” or “number twos”). Geauga I claims 113 churches in 11 communities in a half-dozen states. Now that you know 1-5, what do you think 6-10 might be? Are there many totally independent old order Amish congregations not affiliated with any “Group”? The conservative Mennonites, for example, have many congregations like that, which they usually refer to as being “non-conference”, or simply “unaffiliated”. Good question Terry. There are over 130 churches not associated with any affiliation, according to the authors of The Amish who put this list together. You don’t have to be very large to be counted as an affiliation, however, with a minimum of two districts needed by the parameters the authors used. The Kokomo affiliation is just two districts in size, and is fully contained in the Kokomo, Indiana community. In other words the entire Kokomo affiliation is only that community–there are no related settlements elsewhere. The Turbotville, PA group is similar, with the affiliation and the community being the same (and just 3 districts in size). There are a few others like that. That’s a bit of a tangent, but yes, there are quite a few churches who have not connected with another on an affiliation level for whatever reason or reasons. However, they may still “fellowship” with Amish in other affiliations–which would included marrying across groups and exchanging preachers. On an unrelated note, do you have any essays up about the Old Order Mennonite community? Here in Elkhart County (where I think they began), they’re the ones whose buggies can be found on Sunday morning pulled up at a white wooden church building, rather than at a member’s house. I don’t know what other characteristics make them “Mennonite” rather than “Amish.” They’re probably used to people around here confusing them with their Amish neighbors, but I doubt they have fellowship with them. Everything is correct there. This post is a list of Amish affiliations, as explained in the opening section (not a list of largest Amish communities). So the 5 elements listed are the names of affiliations, not communities (that’s why you have “Holmes Old Order” and not just “Holmes County”, or “Geauga I”, not “Geauga County”). Sometimes the names of communities are the same as the affiliation name used, but I assumed that would be understood (assuming people read the opening section I included to explain the difference). On the Old Order Mennonites, I think one of the best things we have is an interview with Osiah Horst, who grew up in an Old Order Mennonite home and whose father, the late Isaac R. Horst, was a prolific writer who wrote over two dozen books including A Separate People: An Insider’s View of Old Order Mennonite Customs and Traditions. Thanks for the clarification, Erik. I did read the opening sentences, but while early in the process of absorbing my morning caffeine. Even with the explanation, it’s still quite jarring to see a numeral 2 with a spelled-out “third” right next to it. But at least I see what you mean now. Anything about the Old Order Mennonites I mentioned in my post? So I guess a bit of repetition in that spot won’t hurt for anyone who does that. I just replied on the Old Order Mennonites. Looking back, Osiah really gave us a nice Q-and-A on the OOM. If you’d like more of the history and background of the OOM, I’m afraid we don’t have a lot here on that. We sometimes do posts on OOM, but don’t have an extensive section devoted to them (compared to the Amish my experience and knowledge on OOM is much more limited). If anyone who knows the OOM would like to share some articles on OOM topics (hint, hint) I’d certainly be open to hearing about it. As soon as the little wheel stopped spinning to submit my last post, I went back to my email and found a new notification of your answer to my question about the Old Order Mennonites. Sorry to ask again! We “crossed” posts. I will check out the article you listed. But now I have a whole lot more reading to do when I get home! I’m sure it’ll be interesting! Wow, I didn’t know all this. Thanks. So, would it be fair to say that the affiliations within the Amish parallel (sub-) denominations within the larger denominations of English churches. For example, within the broader umbrella of the Baptist denomination there are Southern Baptist, Missionary Baptist, American Baptist, etc. Do the affiliations work somewhat like that? On a practical level, the workings sound very similar. Sure thing Don. Interesting question. I don’t know enough about the structure and workings of those denominations to draw parallels. Amish churches are autonomous in that each has its own ministry and may set a course in a more progressive or conservative direction. The Amish hierarchy is very flat, 2,000+ congregations with no top-level spiritual leadership over them (the National Amish Steering Committee mentioned here before deals with political/legal issues). I’d recommend checking out that chapter 8 in The Amish which may give you a fuller picture from which to draw a comparison. I don’t know about that group George, I don’t think they are New Order though (not to be confused with the Amish at Salem, Indiana, who are). Thank you very much and yes I saw the article on Salem, Arkansas. It was very insightful. I will take some pictures and write a story on the Salem, Arkansas Amish when I am there if you would like. It was interesting reading about affiliations, again. 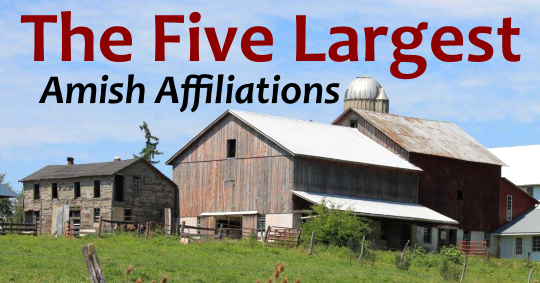 I read The Amish book last year, including the chapter on affiliations, but had forgotten that the Buchanan/Medford affiliation is the fourth largest. The Buchanan, Iowa settlement is where I first saw Amish people 50 years ago. That is neat Al, I did not realize your history with the Amish goes back so far. Glad you liked it Natalie, I appreciate the work the authors did to put the entire table together. Speaking of affiliations, I am currently among the Amish of affiliation #1, here in Lancaster County. 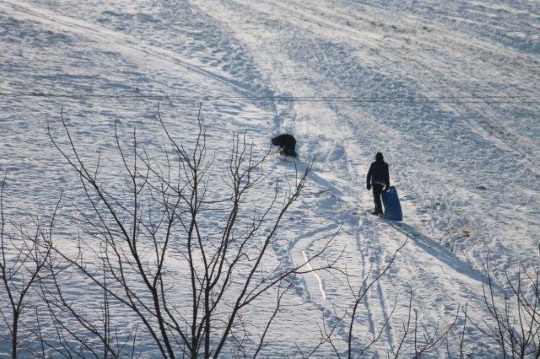 It’s brisk and windy right now, my kind of weather, though most of the frozen stuff is gone. Had a huge breakfast this morning, two types of bacon, french toast, eggs, chipped beef gravy, cracker stew. Washed down with grape juice. I’d eat it every day if I could! Hey Eric, there is a good book on Old Order Mennonites written by Donald Kraybill titled “Old Order Mennonites, Hoof Beats of Humility in a Postmodern World”. An OOM friend of mine gave me his copy to read a few years back. Thanks Jerome! I actually haven’t read that one but probably should have by now 🙂 On the Backroad to Heaven also gives a good concise look at OOM and 3 other Anabaptist groups. Where do affiliations like Swartzenruber, Andy Weaver, or the New Order Amish fall into this? Swartzentruber is just outside the list at #6 (43 settlements, 15 states, 119 districts, districts are likely considered smaller on average than Geauga I hence the higher number). Andy Weaver is 12th largest (1 state, 4 settlements, 40 districts), with New Order non-electric at #14 (7 states, 13 settlements, 35 districts) and New Order-Electric at #24 (6 states, 16 settlements, 17 districts). There are a couple other, smaller New Order sub-groups further down the list. 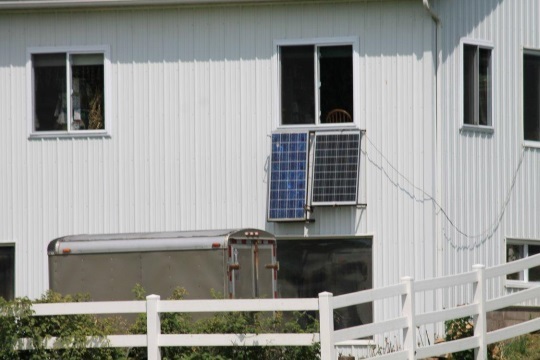 What are the affiliations of the Amish in the area around Shilo, Ohio? 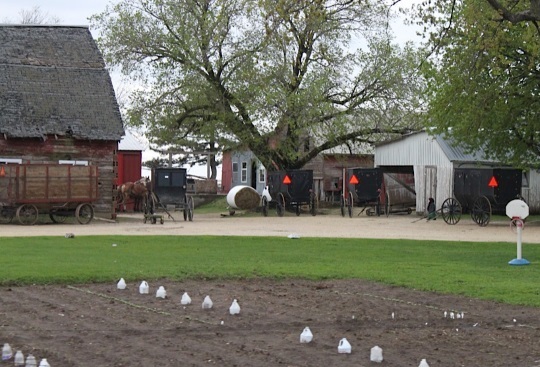 There is also an Old Order (horse and buggy) Mennonite community in the vicinity of Shiloh.